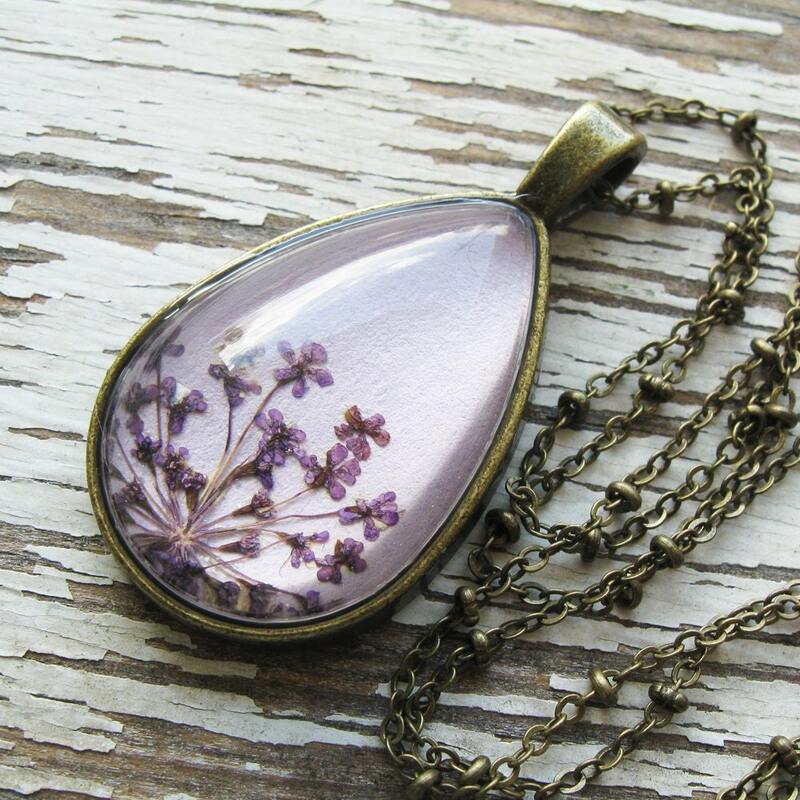 Real Pressed Flower Necklace - Lavender Queen Anne's Lace Botanical Teardrop Necklace. 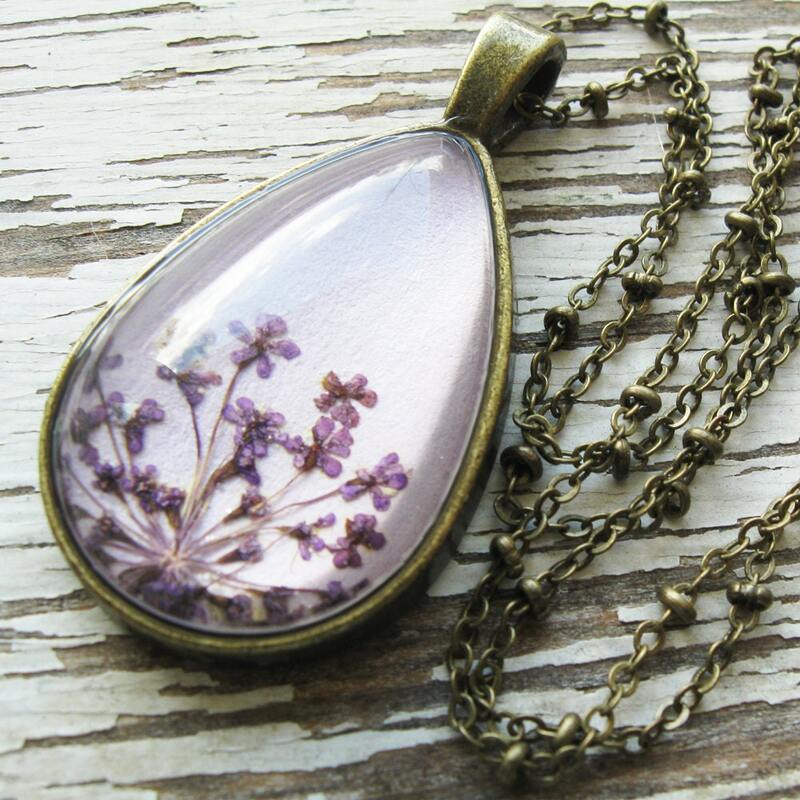 This necklace is made from real purple queen anne's lace pressed flowers and set in a antique brass teardrop with glass. UV protected to preserve color. 3/4" x 1.25" on a antique brass chain. Choose your length. 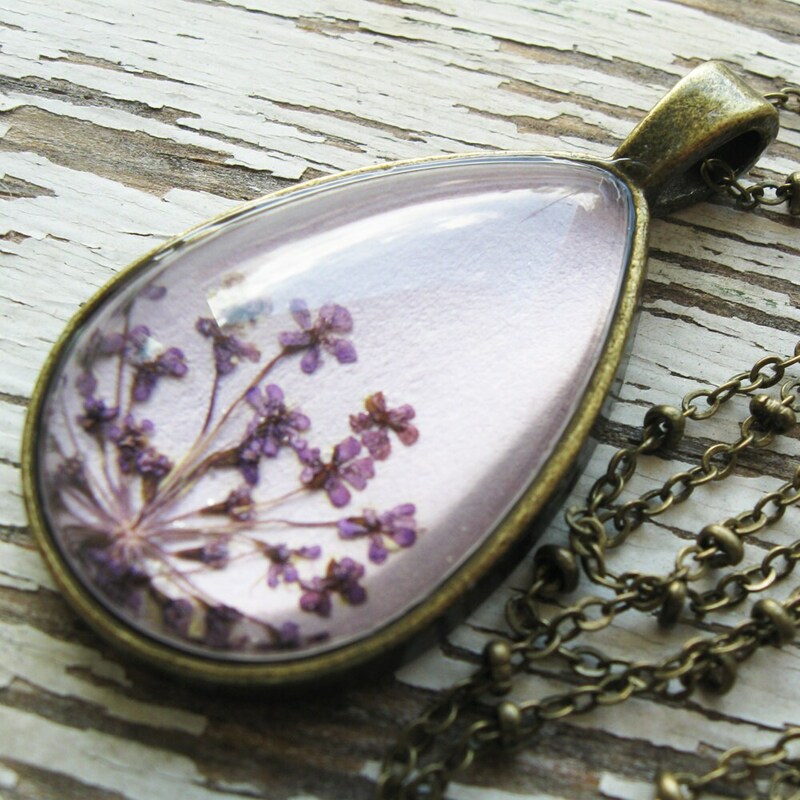 PLEASE NOTE: Each piece is handmade from real pressed flowers. 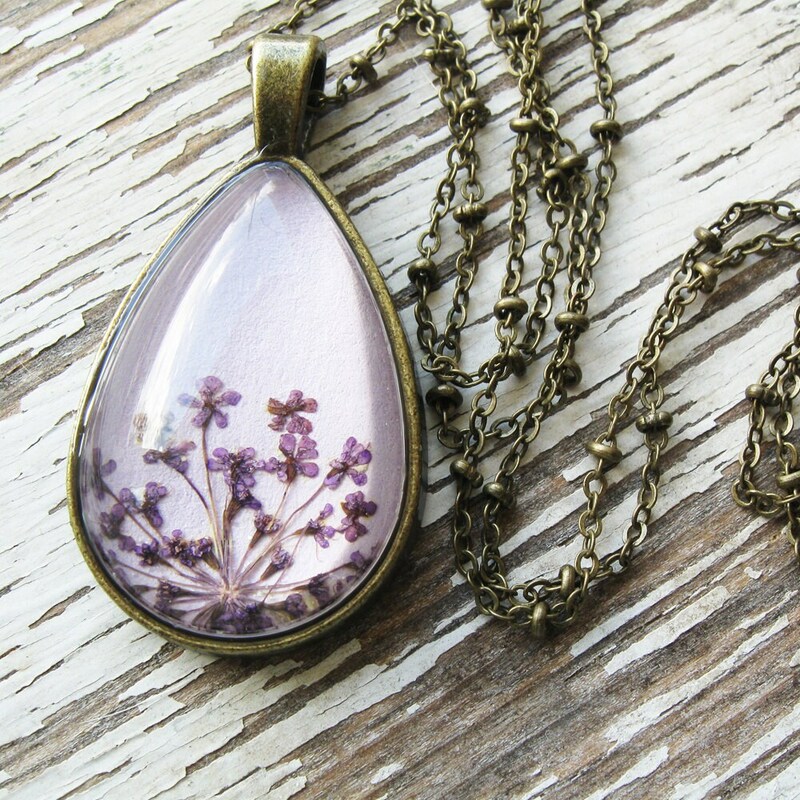 Your design may vary slightly from the picture as each piece is one of a kind! 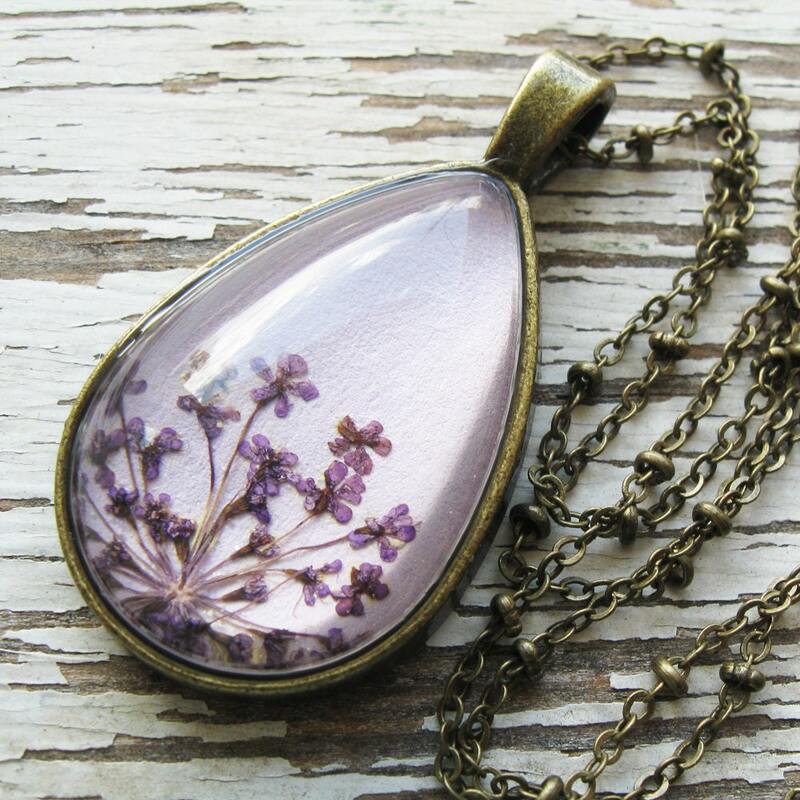 Each piece is made to order and ships in 1-2 weeks.